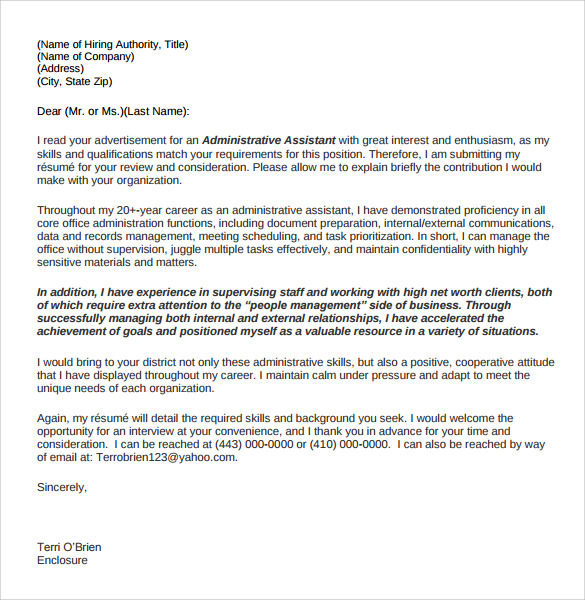 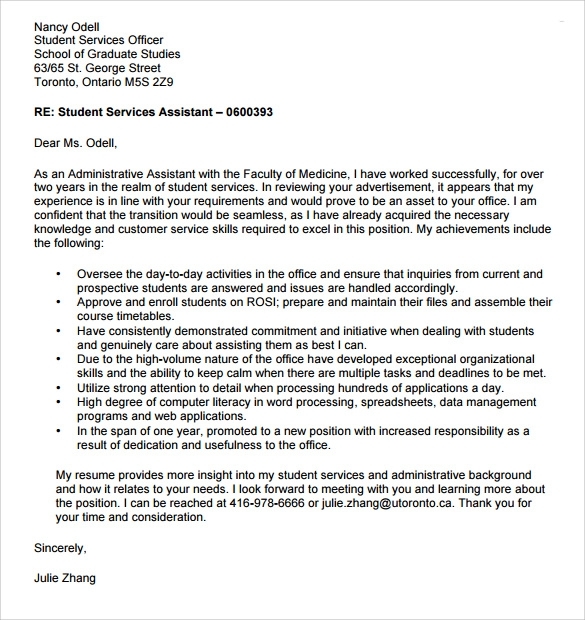 To get selected for the job of an administrative assistant is as difficult as the job itself. 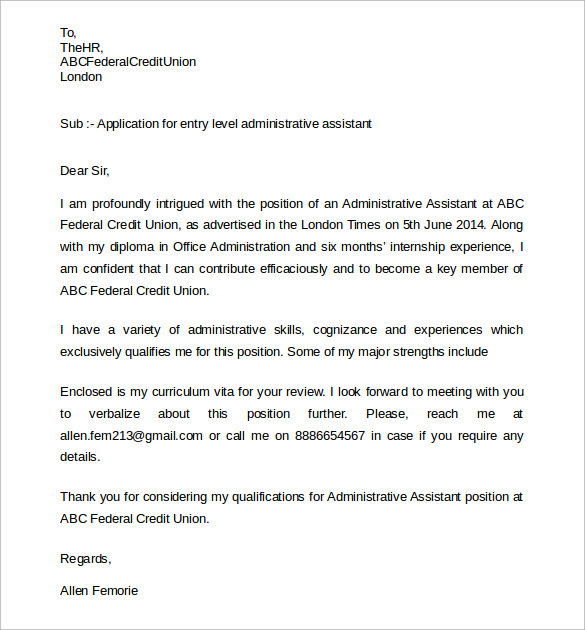 A simple resume with a standard format won’t be enough to receive attention. 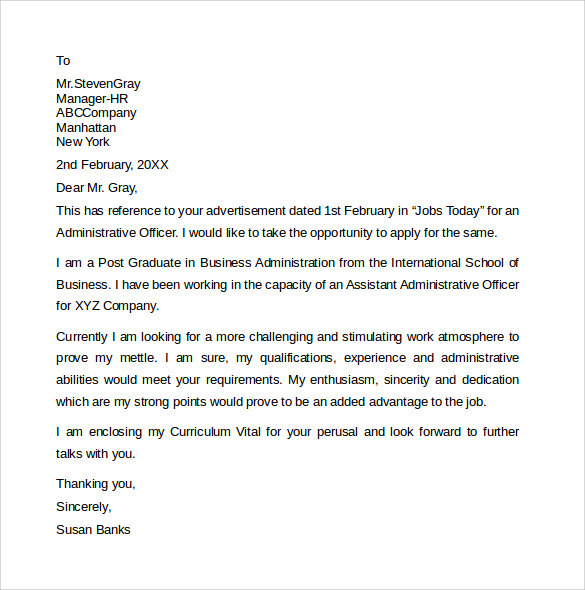 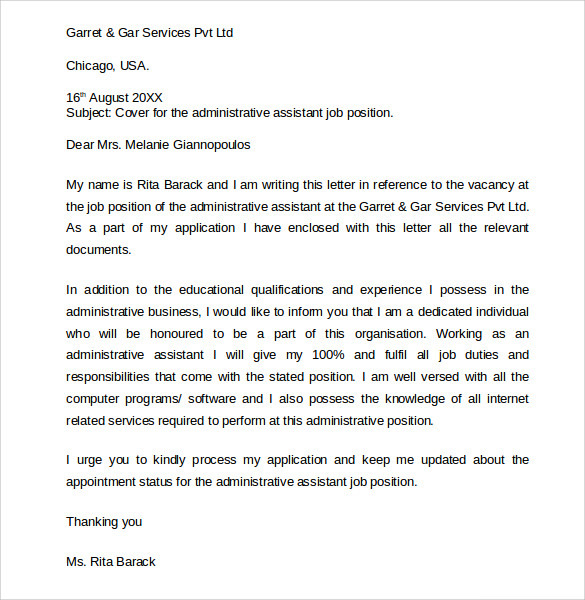 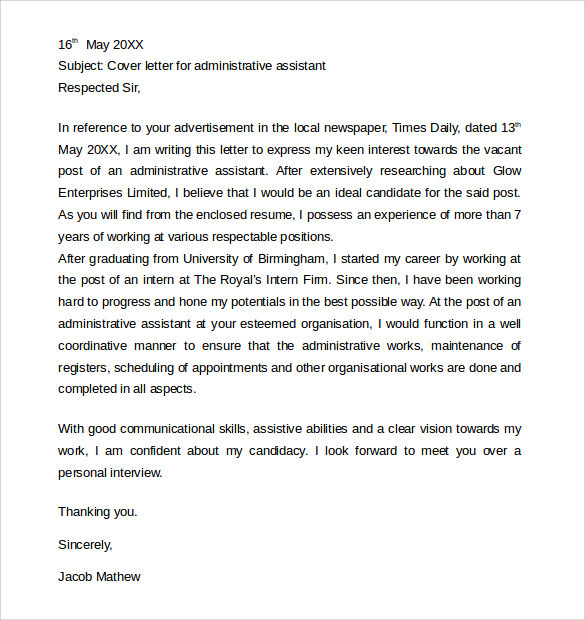 The best thing to do is to look at various sample administrative Executive Assistant cover letter examples from us and select the right cover letter. 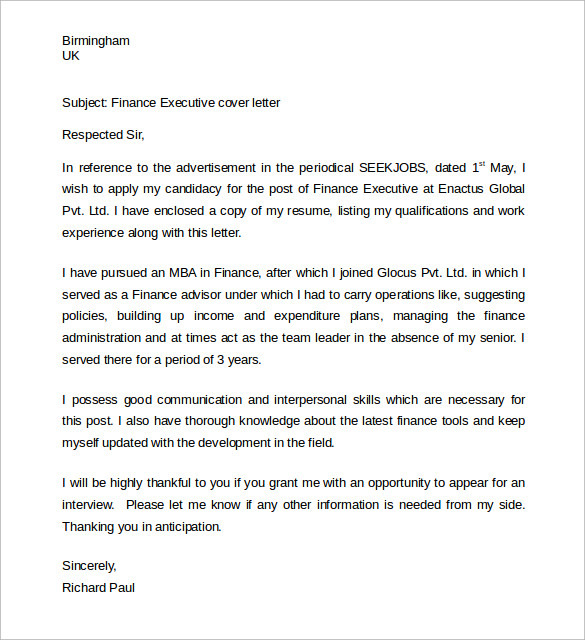 There are many advantages of a cover letter and by precisely framing words in the letter there is ever possibility to make your application seriously considered. 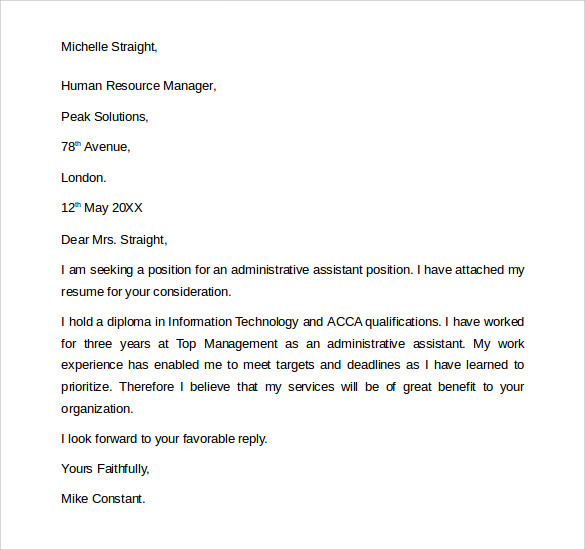 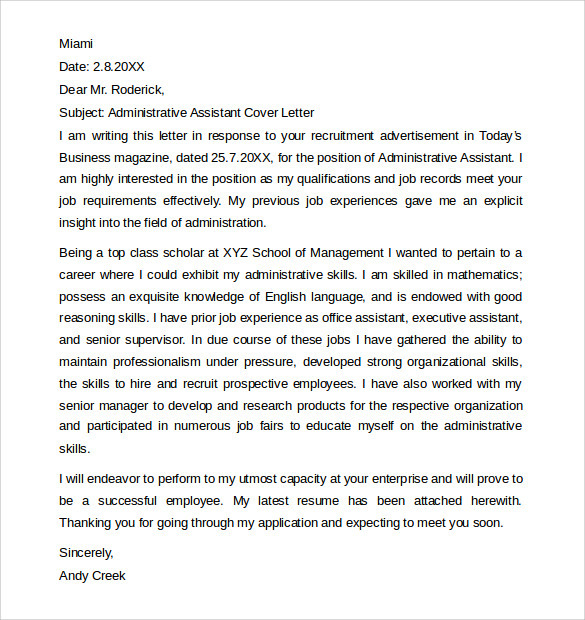 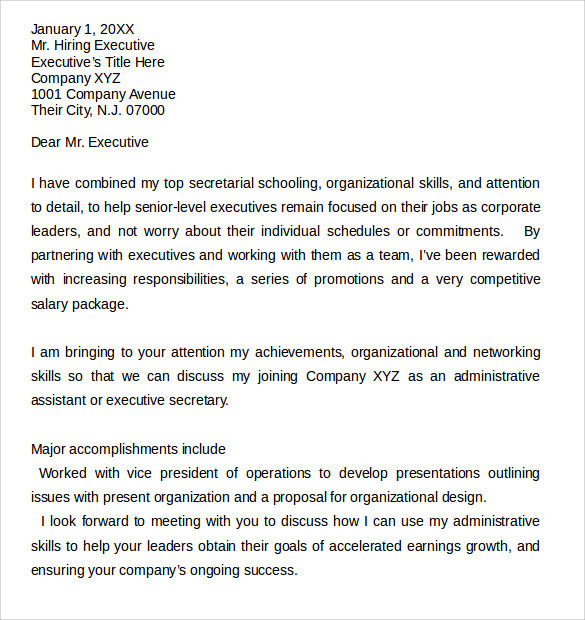 Download any cover letter from our sample administrative assistant cover letter examples in MS word, PSD or PDF and reap the benefits of success.